The best natural cosmetics product in Switzerland – winner of the ANNABELLE Prix de Beauté 2017 within the 'Prestigious and Popular Cosmetics' category. 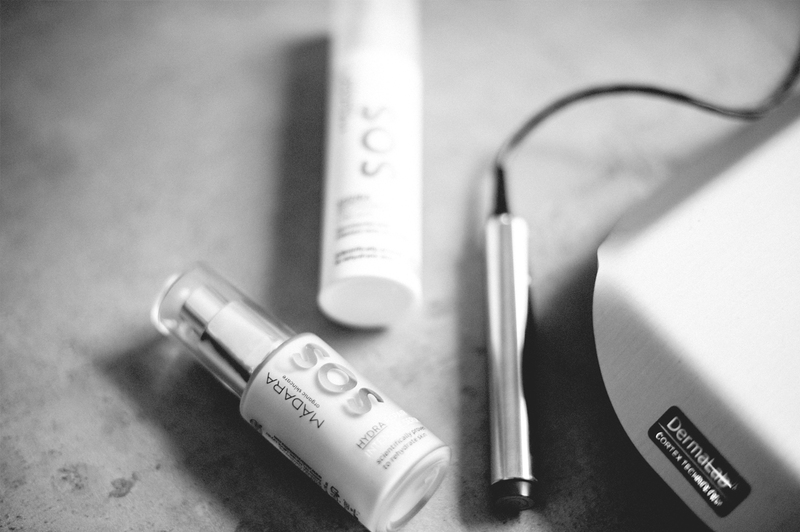 "SOS serum hydrates your skin instantly and notably, it has a gentle aroma. Take this handy bottle with you all year round!" How can cosmetics ensure the deep layers of skin hydrated, not only the top layers? 1. Creating a protecting film that regulates the water exchange between the skin and environment, thus enriching the skin with water-based moisture. 2. Due to their hygroscopic (water binding) properties, moisturisers (like hialuronic acid and betaine) keep the water inside the skin and lock the moisture in different layers of it. 3. Antioxidants and active substances included in the creams protect the outer moisture-locking layer from environmental damage and pollution-induced oxidative stress. 4. Plant based active ingredients raise the dermal water reserves by stimulating the creation of natural moisturisers. Do SOS products have SPF? No, SOS products do not have an SPF. Can SOS products be used with creams of other series - Time Miracle, Deep moisture? Yes, we reccomend to use SOS products together with other MÁDARA creams, serums or oils, to acieve a skin care regimen that works best for each individual skin need. For example, a mature and very dry skin, can use SOS HYDRA RECHARGE CREAM in the morning and TIME MIRACLE TOTAL RENEWAL NIGHT CREAM. The routine can be extended with SUPERSEED SOOTHING HYDRATION face oil and/or TIME MIRACLE CELLULAR REPAIR SERUM for even more intensive skin nutrition and regeneration. Why are the products beige - do they have tinting properties? SOS products do not have tinting properties. Color originates form a natural mineral pigment. Why is the series called SOS?